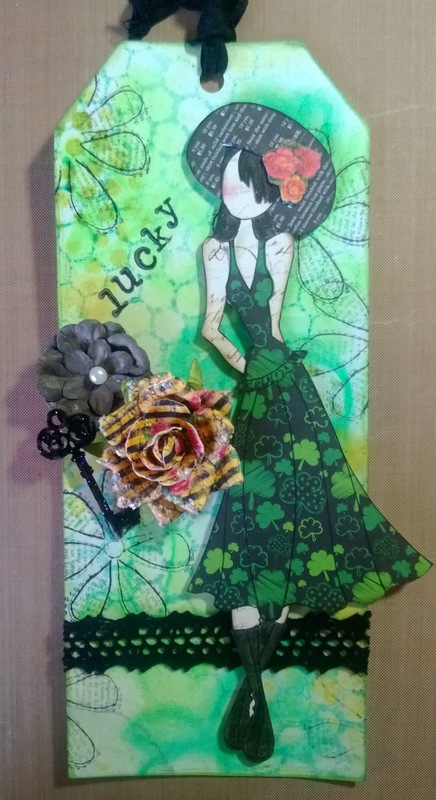 Julie Nutting Designs: Tag of the Month...Lucky! Fabulous tag! Julie - I see that you are also using Heidi Swapp's Color Shine -do you really need it now that Prima has the new Color Bloom? As soon as Color Blooms are available I won't need other mists however I only have a couple of colors until then! Beautiful, Julie! Thank you for sharing your creativity. Really enjoyed the tag class at The Piece by Piece. Looking forward to your next one. would love for you to come up with a set of boy stamps to match the girls. I can think of dozens of ways they could be used!!! This is so Awesome great colors. I love it. 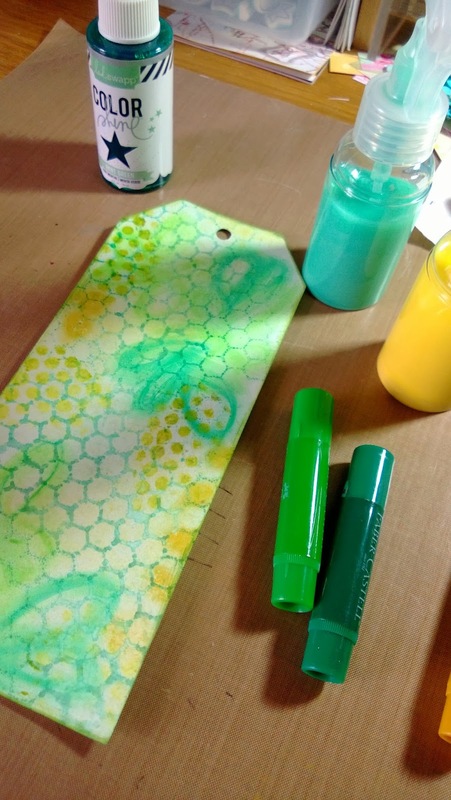 Such fabulous colours, love this tag.